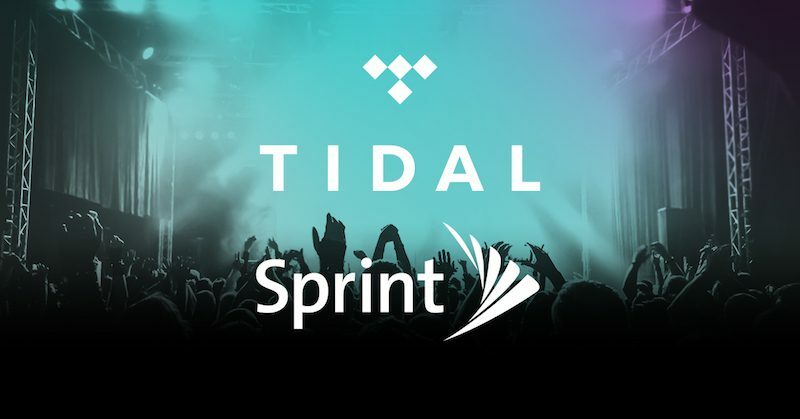 Sprint today announced that it has acquired a 33 percent stake in Jay Z's music streaming service Tidal, which the carrier said will soon give its customers "unlimited access to exclusive artist content not available anywhere else." Under the deal, artists partnering with Tidal will create music only available to new and existing Sprint customers. As part of the deal, Sprint's chief executive officer Marcelo Claure will also join Tidal's board of directors. The carrier mentioned that Tidal will continue to function as normal, and Jay Z will remain in charge of the streaming service's artists and music content. In a statement, Jay Z said that Sprint understands and shares Tidal's goal of creating a dynamic and revolutionary addition to the streaming music service industry. Artists under Tidal will gain access to a dedicated marketing fund provided by Sprint, which the carrier says "will allow artists the flexibility to create and share their work with and for their fans." Further information about the Sprint/Tidal partnership will be coming soon. Apple was thought to be interested in acquiring Tidal last summer in an effort to further boost Apple Music, but the company eventually denied those reports with Apple Music executive Jimmy Iovine saying "we're not looking to acquire any streaming services." Apple Music and Tidal have been competitors since their launch, each promoting exclusive artist deals with a rivalry that Kanye West said is negatively affecting the music industry as a whole. So Sprint had to cut costs everywhere to stop the bleeding, yet they spend cash on a music service with a doubtful future? Hmm, ok.
Sprint is the Tidal of phone networks, so it's a perfect match. As exclusives become more exclusive, the music industry overall weakens. I'm sure there are a small minority that are profiting over the short term, but long term this type of exclusivity, apple music included, is just bad for music. Bad idea, Sprint. Very bad. This is double exclusive. Tidal AND sprint customers only. Just when I didn't think it could get any worse. I don't really see any mention of whether or not Sprint customers will automatically receive access to Tidal as a perk, which could make some sense as a value-add. Many people are paying $10 a month for a music service, and they all have cell phone plans, so being able to say "switch to Sprint and we have these promos, and you'll also save the money you were paying for a music service" would be appealing to a lot of people. Of course it doesn't work that way. If, for the sake of argument, Sprint grossly overpaid for a portion of Tidal, it doesn't necessarily follow that value is imputed to the whole. You have a misunderstanding about business valuations. The valuation Sprint put on the company doesn't mean that subsequent potential investors will decide that Tidal is now worth $600 million. Indeed, subsequent investors may decide it is worth less now that Sprint, with losses of billions of dollars,is effectively majority owner. Put in lay terms, if you sell a third interest in your 1994 Ford Focus to your crazy uncle for $100k, it doesn't mean you are now driving around a car worth $300K. In fact, since your crazy uncle now owns part of it, it will likely be worth even less to future buyers. Why don't you call a stockbroker and ask. Your analogy does not apply to stocks. They are not depreciable personal property, but representative of the capital stock of the company and prices fluctuate with supply and demand. In this case Sprint "demanded" $200m of stock for a 1/3 ownership. Since they are rational actors (owned by SoftBank) it is worth what they pay for it, whatever that is. Your argumentation notwithstanding. You don't seem to make this same argument for the companies Apple purchases or partners with. Not in the article but from a tweet. "JAY Z bought Tidal for $58 million and Sprint just gave him 200 million for 1/3 of it. Now it's worth 600 million."